The magnificent innards of Boston’s Grand Lodge of Masons dazzle the eight BU students on a recent visit: the vast meeting halls with their triplicate sets of wooden thrones, upholstered tiers of seating, and central altars with cushioned tops, the exquisitely sculpted ceiling of Corinthian Hall, and the tiny hand-laid Italian tiles on the floors. The hair belonged to a deceased 19th-century Mason and was attached to his membership diploma in a memorial not unusual for that time, Hunt explains. In fact, when loyal Mason George Washington died, the Massachusetts Grand Lodge successfully petitioned Martha Washington for a lock of his hair, now stored in an urn made by Paul Revere (who once served as grand master of the lodge) and brought out whenever a new lodge grand master is installed. “It’s probably the most valuable artifact we possess,” Hunt says. 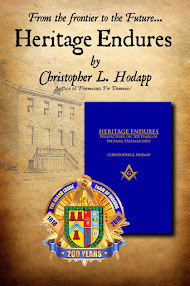 From the sublimity of its architecture to the idiosyncrasy of its hair samples, Freemasonry (founded in 18th-century England and devoted to charitable works) is part of the syllabus for Mystic Orders and Secret Societies: Fraternalism in America. Taught by William Moore (GRS’99), a College of Arts & Sciences associate professor of American material culture, the class covers other groups, among them the Daughters of the American Revolution, the Knights of Labor (a late 19th-century labor organization), the Grand Army of the Republic (a fraternal organization of veterans of the Civil War Union Army, whose Lynn, Mass., hall the class also visits), and various African American and women’s organizations. The DaVinci Code was catnip for conspiracy theorists with its talk of masonic secrets. And while not denominational, the Masons require members to profess faith in one God, something the Vatican deems a renunciation of Catholic teachings on the Trinity and Jesus’ divinity. Political science aside, sociologists “are interested in fraternal groups from the standpoint of what role do voluntary societies have,” Moore says. He cites Harvard’s Robert Putnam, whose book Bowling Alone laments the decline of social capital of the kind fraternal membership provided in its heyday. 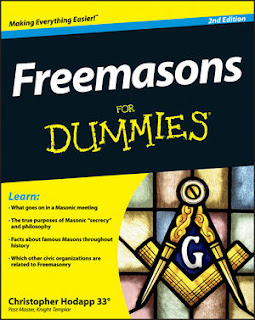 (Masonic membership, for example, peaked around 1960 and has since slipped.) These societies also provided such benefits as insurance to their members. But the groups have been divisive as well, setting up ins and outs that breed suspicions à la the Anti-Masons, says Moore. In case you’re wondering, Moore has not joined a fraternal organization (although he was initiated into the Boy Scouts’ national honor society at age 15). It’s one of several areas where he separates his academic interests from his personal ones. BTW, if you are associated with Boston University as a student, administrator, staff, or alumni, you may join Boston University Lodge (one of just three academic lodges in Massachusetts - the others are at Harvard and MIT). For information, CLICK HERE. 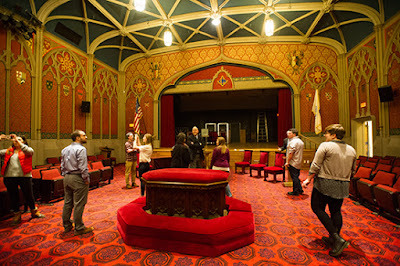 An article about Boston University students studying fraternalism and taking a tour of Grand Lodge, without any mention whatsoever of Boston University Lodge AF & AM. It's not the author's job to help us publicize ourselves, but it's still disappointing.